When deciding which marketing tactics to pursue, be sure to consider signs that can be put up in a yard or on the roadside. With a professional look and a simple call-to-action, these signs can be an effective and non-invasive way to build your brand in your local community. As you are respectful to your local public and private properties, you'll find yard signs to be a good way to educate others about your products and services. The most important lesson to follow when it comes to yard signs is to be respectful of where you put them in the ground. If you offend property owners or get in trouble with local law enforcement, your reputation may suffer and it could prevent you from getting the return on investment you need. 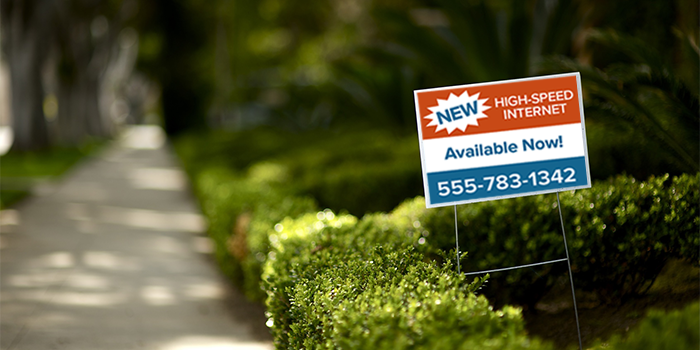 Do your homework and follow these best practices for placing yard signs to grow your business with this strategic way of advertising.